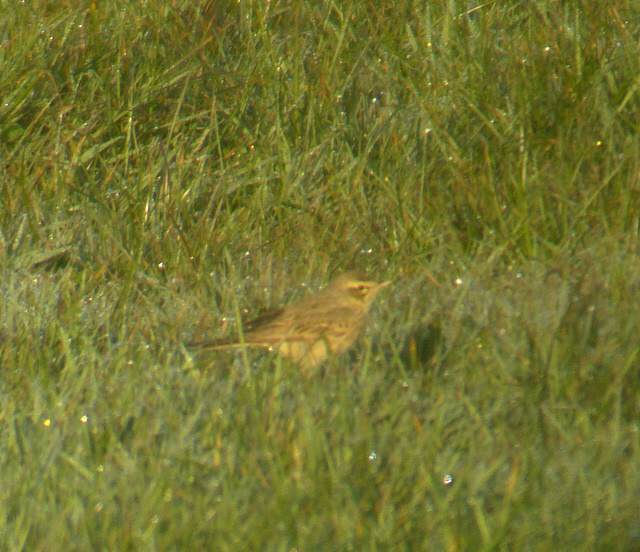 CORBALLYMORE: Grasshopper Warbler singing at night, crossroads nr Saleen. Nr MINE HEAD: Turtle Dove at Ballynamona (grid ref X280837). BALLYSCANLAN LOUGH: Reed Warbler singing. Nr KILMEADEN / BALLYDUFF: Pine Marten along the N25 near woodland. Nr BALLYVOYLE COVE: Cuckoo seen. Nr AGLISH: Spotted Flycatcher pair at Ballynaparka. DUNMORE EAST: Preliminary total of 42 pairs of roof-nesting Herring Gulls around the village, including 15 nests on factory / warehouse roofs at the harbour, based on surveys since mid May. Nr AGLISH: Spotted Flycatcher pair at Coolahest. Nr FEWS (Kilmacthomas): Spotted Flycatcher. 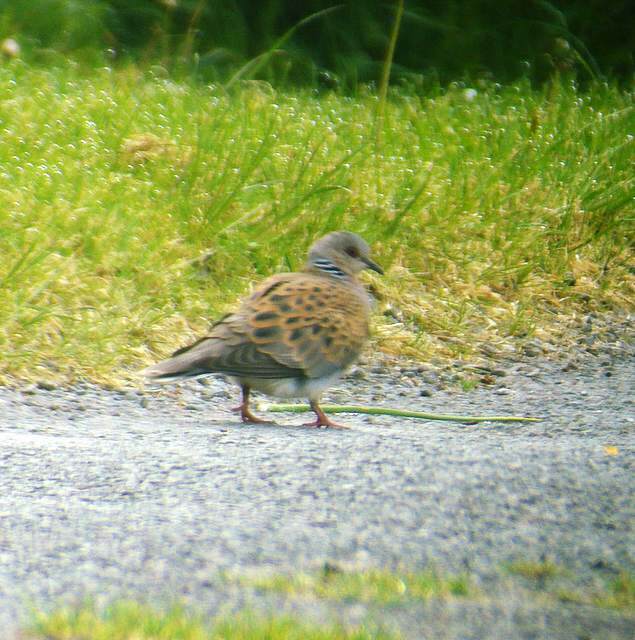 Nr MINE HEAD: Turtle Dove still present, along road down to Ballinroad. KNOCKMEALDOWN MOUNTAINS: Female Hen Harrier & a roding Woodcock. DUNGARVAN: 17+ Little Egret nests at colony. Nr MINE HEAD: Turtle Dove still present at Gates, also 4 Arctic Skuas flying east high over the lighthouse, & an Otter, at the Head. Nr MINE HEAD: Turtle Dove feeding on road at Gates (grid ref X260838), present for about a week. Nr POULDREW: Kingfisher & Dipper along the Dawn River. CLASHMORE area: Kingfisher near Ballyheeny Bridge (Licky River) and Dipper along stream in Clashmore village. CASTLETOWN FEN: Male Cuckoo calling, also a Spotted Flycatcher nearby. 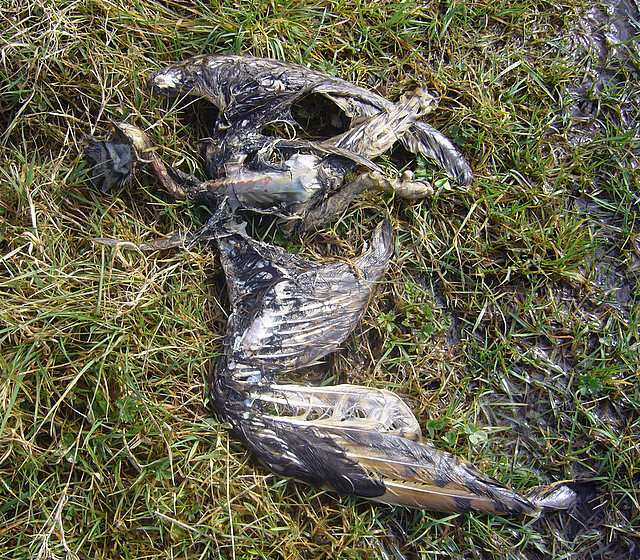 EAST WATERFORD: Buzzard south of the city. Nr CLONEA STRAND: Short-eared Owl along track at Ballinclamper. 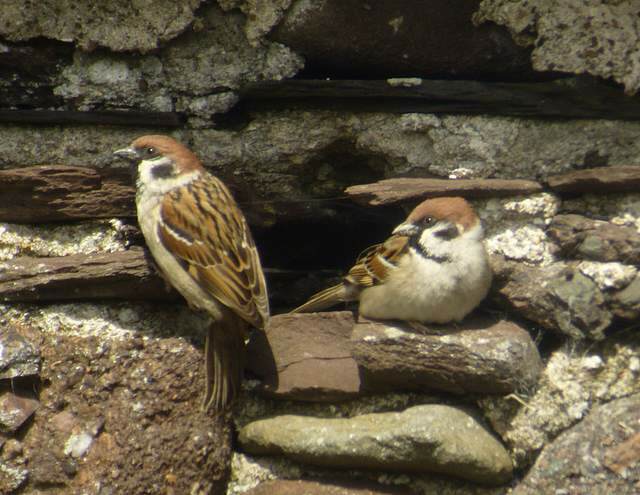 BUNMAHON: A HOBBY flew west. DUNHILL CASTLE: Long-eared Owl fledgling calling nearby. TRAMORE BACKSTRAND: GLOSSY IBIS feeding in saltmarsh SE of the Dump, 1400 hrs, but apparently moved on shortly afterwards; also 55+ Whimbrel. TRAMORE BEACH: 21 Sanderling, & a Common Seal close inshore. CASTLETOWN FEN: Grasshopper Warbler singing at night. CREADAN HEAD: 6 Black Guillemots on sea close inshore - apparently a new breeding location. HELVICK HEAD: 3 Spotted Flycatchers. BROWNSWOOD (nr Portlaw): Cuckoo calling. BALLYDOWANE BAY: Common Sandpiper & Spotted Flycatcher. BROWNSTOWN HEAD: Spotted Flycatcher, Blackcap & 4 Chiffchaffs. KILBARRY BOG: Kingfisher along the St John's River opposite Superquinn. 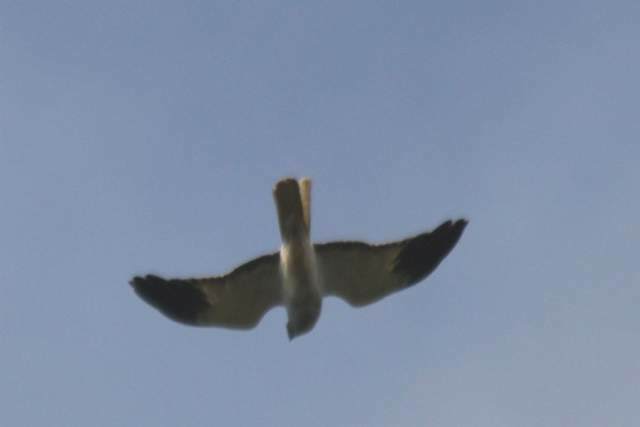 HELVICK HEAD: An OSPREY flew west over the head at 0718 hrs. 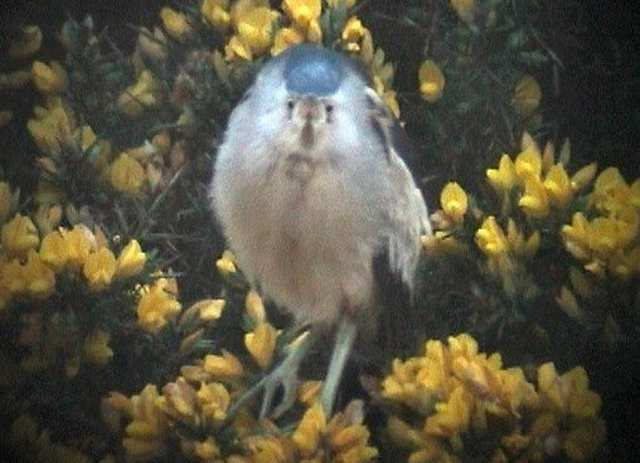 KNOCKMEALDOWN MOUNTAINS: Red Grouse, Cuckoo & Jay at Knocknanask & 5 Crossbills at Tooranaraheen, NE of Mountmelleray. BROWNSTOWN HEAD: 25-30 Common Scoter flew east, also a Porpoise & 45 Whimbrel. GREAT NEWTOWN HEAD: Delicate moth. BROWNSTOWN HEAD: Female/immature Black Redstart, 46 Whimbrel, 5 Swifts but few other migrants; Otter swimming off west side. BRICKEY CANAL, nr Dungarvan: Long-eared Owl. BROWNSTOWN HEAD: Adult male SUBALPINE WARBLER (1st county record), Turtle Dove, Tree Sparrow, 30+ Whimbrel, Swift, House Martin, 2 Spotted Flycatchers (1st of year), 5 Sedge Warblers, 2 Blackcaps, 2+ Whitethroats; & 2 Pomarine Skuas, a Great Skua & 5 Common Scoter east, a Great Northern Diver west, during a half-hour seawatch (0840-0910 hrs). HELVICK HEAD: Reed Warbler, Merlin, Spotted Flycatcher (1st of year), Whitethroat & 8 Bottlenose Dolphins. BROWNSTOWN HEAD: Turtle Dove, Swift & 2 Tree Sparrows. BALLYSHUNNOCK RESERVOIR: Little Egret, Greenshank and pair of Great Crested Grebes (one on nest). 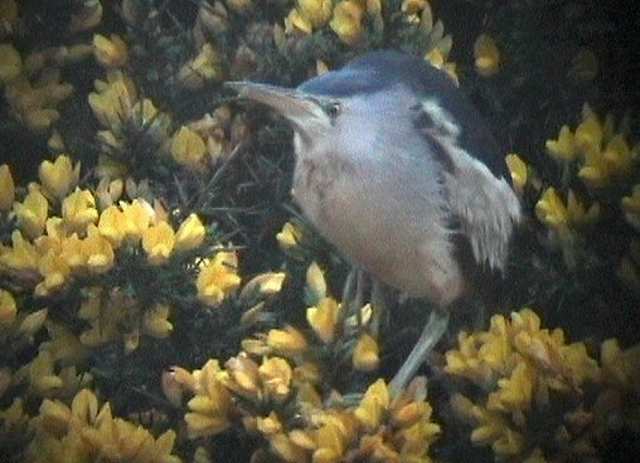 KILBUNNY WOOD (nr Portlaw): Jay & totals of 10 Blackcaps & 24 Chiffchaffs singing. 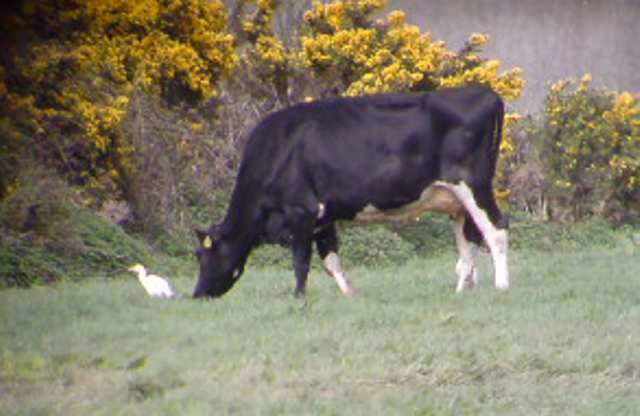 Nr WATERFORD AIRPORT: 2 CATTLE EGRETS (apparently part of the flock seen nr Clohernagh 27-28 April). 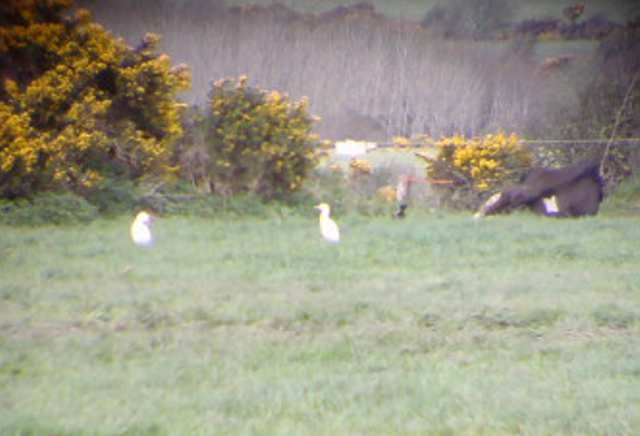 Nr TRAMORE BACKSTRAND: 6 CATTLE EGRETS near Clohernagh. WATERFORD CITY: 4 Swifts over the Industrial Estate. 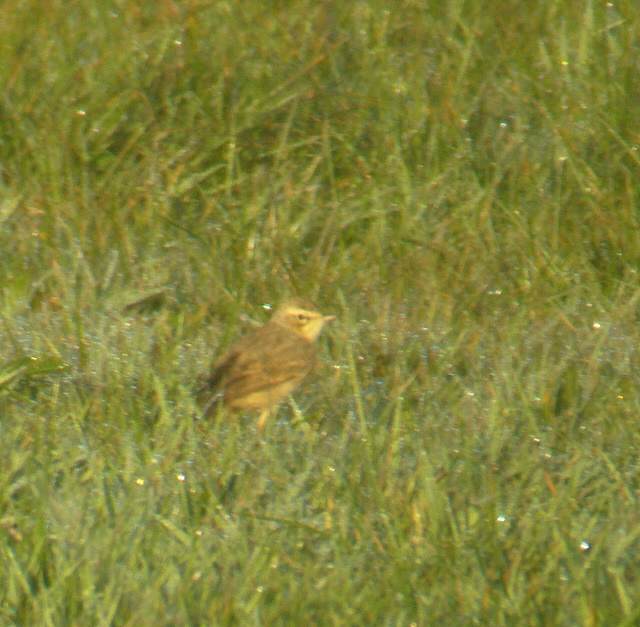 BROWNSTOWN HEAD: TAWNY PIPIT (2nd or 3rd county record) in the west fields, also 7 or 8 Tree Sparrows. TRAMORE BAY: 3 Bottlenose Dolphins. 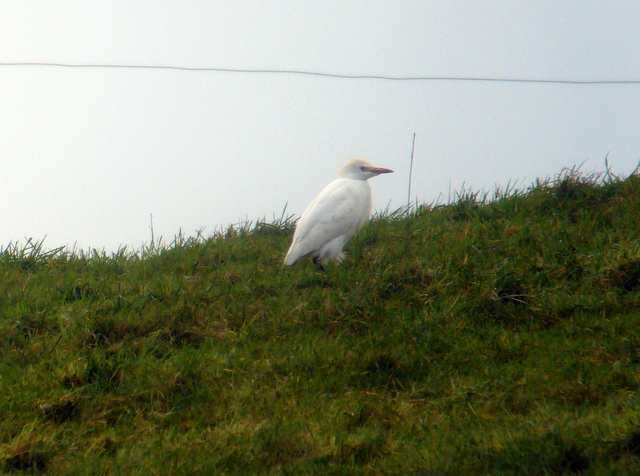 Nr TRAMORE BACKSTRAND: 5 CATTLE EGRETS in field between Clohernagh and Ballynamoyntragh Cross Roads, at grid ref S644024. ANNESTOWN: Grasshopper Warbler singing at Annestown Bog, Red-throated Diver in the Bay. CLASHMORE BROADS (lower Blackwater): 10 Whimbrel & 3 Sedge Warblers. KNOCKMEALDOWN MOUNTAINS: 5 Crossbills north of Knockadav / Ballysaggart. BROWNSTOWN HEAD: Male LITTLE BITTERN (3rd county record) found in evening, along stream close to sea, also Reed Warbler, Sedge Warbler & 65 Whimbrel. WATERFORD CITY: Grasshopper Warbler singing at night nr Collins Avenue. DUNGARVAN area: 4 Swifts (1st of the year) over Dungarvan town, also 2 at the Pike east of Dungarvan. 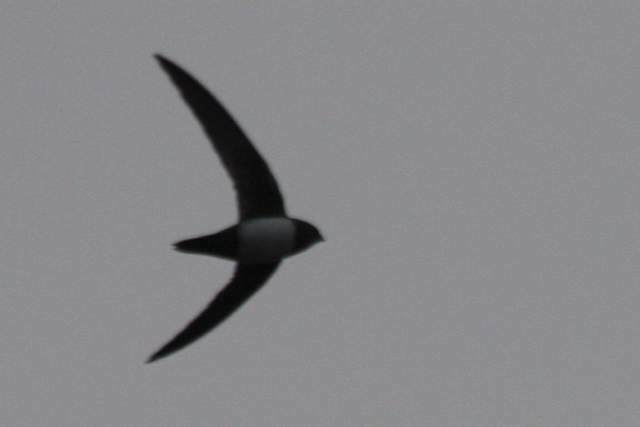 LISMORE TOWN: Swift(s) also heard here. HELVICK HEAD: 2 Gadwall (west), Pomarine Skua, Red-throated Diver & 400+ Manx Shearwaters passed during a half-hour seawatch; on land, 2+ Grasshopper Warblers, 12+ Whitethroats, Sedger Warbler, 2+ Blackcap, 30+ Willow Warblers & 6 Chiffchaffs (1 very brown-plumaged). RAM HEAD: Grasshopper Warbler singing & Wheatear. 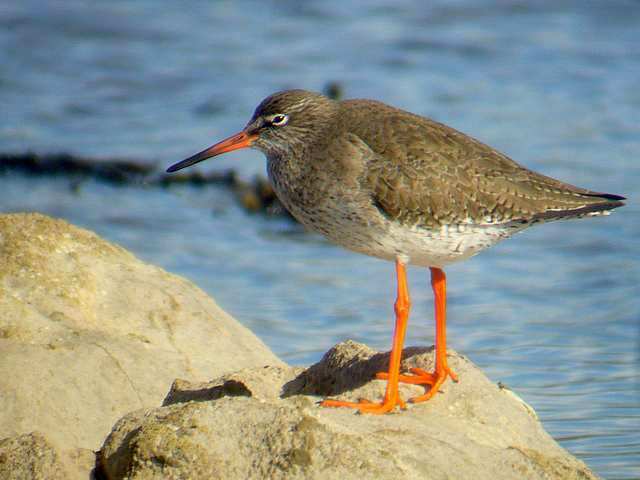 WHITING BAY: 140 Whimbrel & a Common Sandpiper; Merlin at Goat Island. HELVICK HEAD: Merlin, Wheatear, Whitethroat & 4-5 Willow Warblers. HELVICK HEAD: Flock of 8 Pomarine Skuas, also 2 Puffins, but no passerine migrants. CLONEA STRAND: 170+ Whimbrel at Ballinclamper. 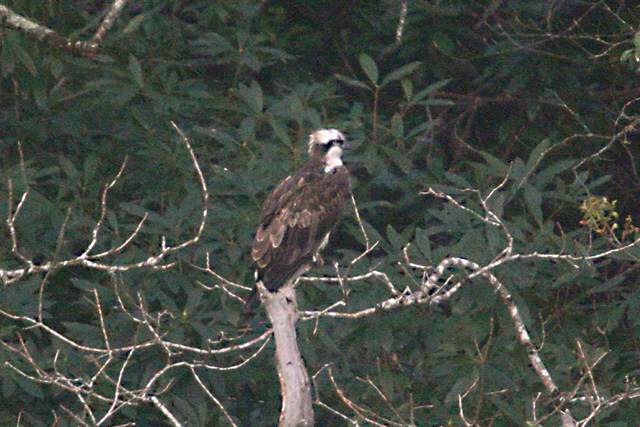 RIVER BLACKWATER: OSPREY refound in same location, across river from Killahaly Wood. Nr LISMORE: Long-eared Owls in garden at Carrignagour, including chick(s) giving 'rusty hinge' call. 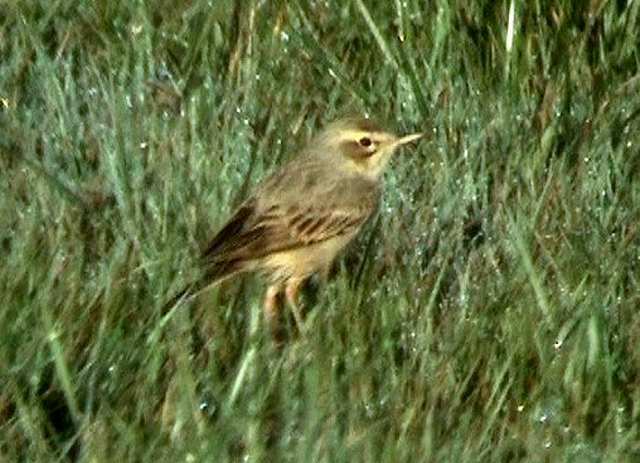 SALEEN/RINNESHARK (Tramore): *BLUETHROAT still present on sand-dunes just south of Saleen (2nd county record). 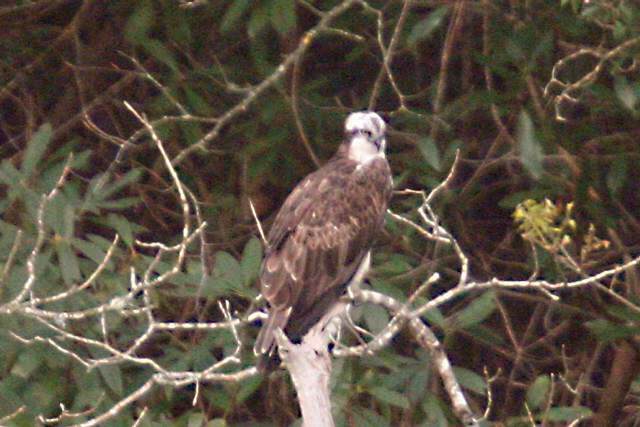 RIVER BLACKWATER: OSPREY between Cappoquin & Camphire. 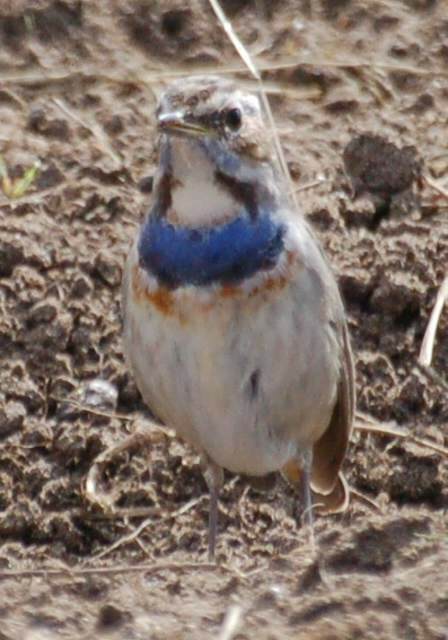 SALEEN/RINNESHARK (Tramore): *BLUETHROAT photographed on sand-dunes just south of Saleen (2nd county record). BROWNSTOWN HEAD: Large arrival of migrants including Pied Flycatcher, female Redstart, 2 singing Grasshopper Warblers, 100+ Willow Warblers, 10+ Blackcaps, 10+ Whitethroats, 2+ Sedge Warblers, 4 Wheatears & dozens of Whimbrel. BELLE LAKE: House Martins (first reported of year) with Swallows over the lake. ANNESTOWN BOG: 2 Grasshopper Warblers singing. MONAVULLAGH MOUNTAINS: First Cuckoo of year heard at Barracreemountain Lower. CLONEA STRAND: Pair of Common Scoter on sea off Ballinclamper. DUNGARVAN: Sedge Warbler at the Cunnigar. HELVICK HEAD: 2 singing Grasshopper warblers, small numbers of Blackcaps, Whitethroats & Wheatears, & big fall of Willow Warblers. ARDMORE HEAD: Lots of Willow Warblers & a few Blackcaps. KILDALTON COLLEGE, PILTOWN (Co Kilkenny): House Martins seen. Nr CLONEA STRAND: Hoopoe along the walkway between Ballinclamper & Ballinard, Little Tern, adult dark-bellied Brent Goose, Common Sandpiper & 55+ Whimbrel at Ballinclamper. HELVICK HEAD: White Wagtail, Blackcap, 2 Whitethroats (1st of year), Basking Shark, Porpoises & 7 Bottlenose Dolphins. 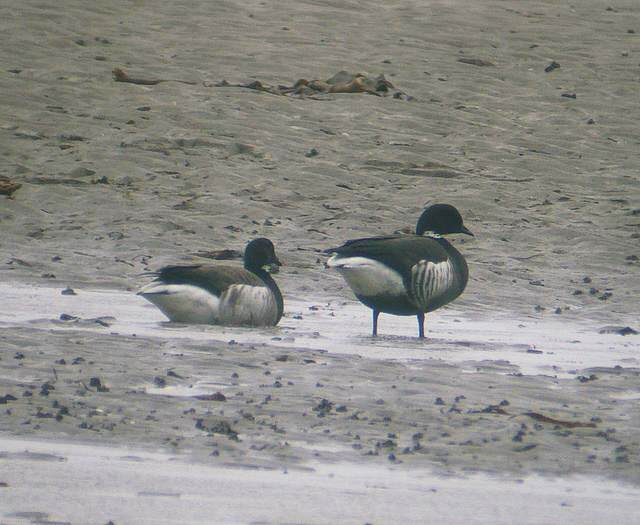 DUNGARVAN: Adult BLACK BRANT at the Cunnigar, Common Sandpiper at Kilminnin. 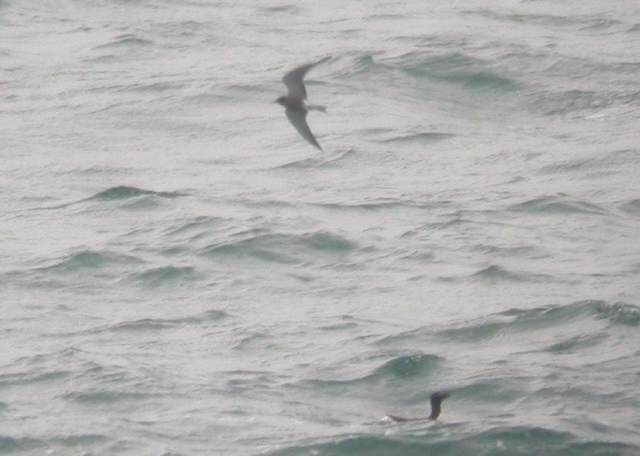 BROWNSTOWN HEAD: 2 Black Terns. Nr WATERFORD CITY: 2 adult-summer Little Gulls at outfall opposite Clover Meats. MINE HEAD: 4 Puffins flew west. RAM HEAD: A probable WHITE-TAILED EAGLE flew west c5 km offshore, apparently heading towards the Youghal Harbour / Blackwater estuary. STRADBALLY TO BALLYVOYLE: 11 Black Guillemots in early morning survey (4 just west of Stradbally, 7 at Islandhubbock), Red-throated Diver at Stradbally & 15 Whimbrel flying east at Island. 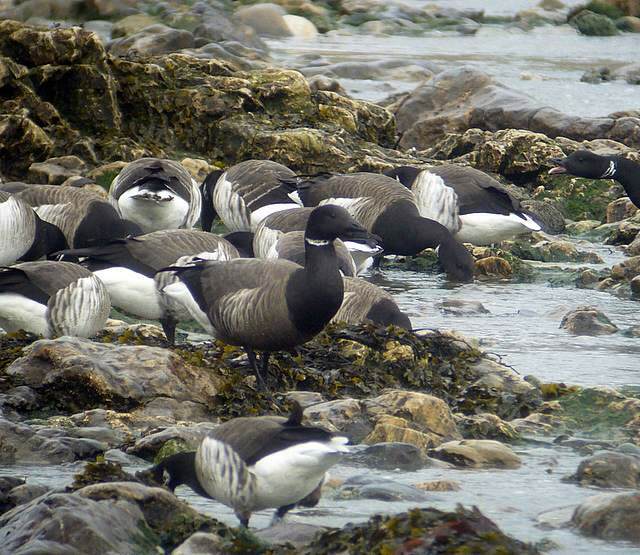 BALLYVOONEY COVE to STRADBALLY: 8 Brent Geese at Ballyvooney, 6 Black Guillemots just east of Stradbally. HELVICK HEAD: 6 Black Guillemots (early morning survey). BROWNSTOWN HEAD: Male Blackcap & 5+ Willow Warblers. RATHMOYLAN: 2 Blackcaps singing & 6 Willow Warblers. TRAMORE BACKSTRAND: 26 Little Egrets. BRIDGEQUARTER (nr Tourig River): 5 CATTLE EGRETS (grid ref X065804) with cattle, then flew towards Youghal. NEWTOWN COVE to KILFARRASY: 10 Black Guillemots (early morning survey). 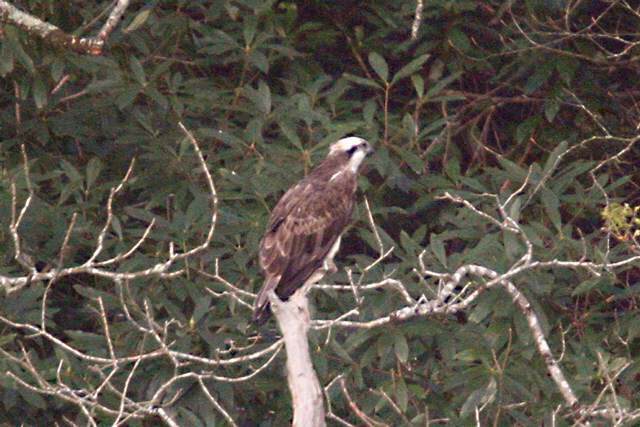 BLACKWATER VALLEY: WHITE-TAILED EAGLE, presumably one of the birds released in Killarney National Park (Co Kerry) in August 2007 (see Killarney NP website). RAM HEAD: Minke Whale & Basking Shark. BALLYMACARBRY: Otter in carpark of Pinewood Healthcare. 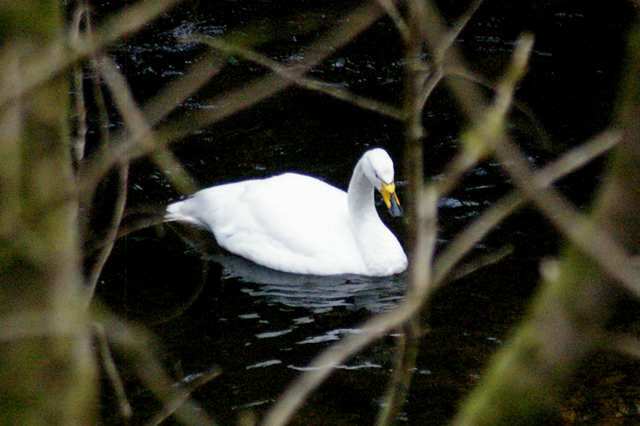 Nr LISMORE: Whooper Swan somewhat 'out of habitat' on stream below Carrignagour. WHITING BAY area: Merlin, 75 Sanderling, 9 Chiffchaffs (7 singing) , a singing Yellowhammer (very scarce south of the N25 in west Waterford), & small numbers of Sand Martins & Swallows. 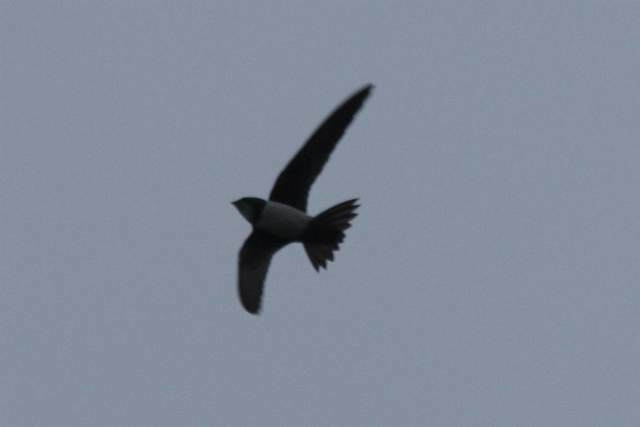 DUNGARVAN: *ALPINE SWIFT over the town (5th county record) - amazingly, the last 2 county records were on almost the same date and both in Dungarvan, on 3 April 2005 & 3 April 2006! Also a Long-tailed Duck in the bay. CLONEA STRAND: 2 Swallows, 15 Sand Martins, Wheatear & 2 singing Willow Warblers. MINE HEAD to HELVICK HEAD: 13 Willow Warblers singing. NORTH COMERAGHS: Male Hen Harrier. CLONMEL (Co Tipperary): 5 House Martins at old bridge. TRAMORE TOWN: Moth catches included the rare migrant micro-moth Euchromius ocellea (2nd county & 4th or 5th irish record). RAM HEAD: 5 Red-throated Divers , a Great Northern Diver & 300+ Manx Shearwaters. CLONEA STRAND: 4 Sandwich Terns. Nr CLASHMORE: 8 CATTLE EGRETS still present at Ballycrompane. 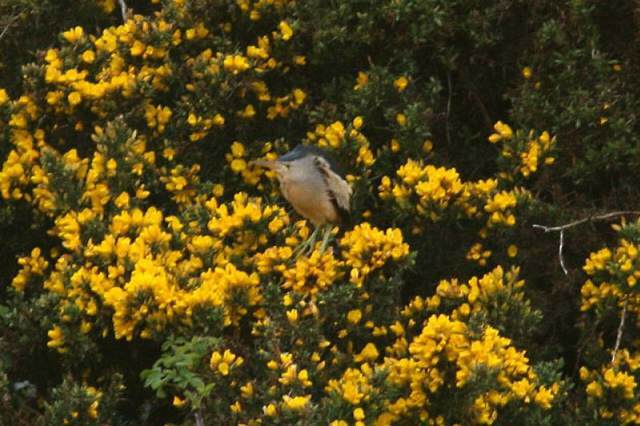 Nr LEMYBRIEN: Willow Warbler (first of year) singing & Swallow. DUNGARVAN: 5-6 Sandwich Terns in bay, BLACK BRANT at Western Bay. CLONEA STRAND: Scandinavian Rock Pipit & 2 adult dark-bellied Brent Geese. VILLIERSTOWN QUAY: Otter (possibly 2). GOAT ISLAND (nr Ardmore): A Long-eared Owl collided with a window, shortly after dark, but quickly recovered and flew off. BUNMAHON STRAND: 9 Red-throated Divers & a Great Northern Diver. 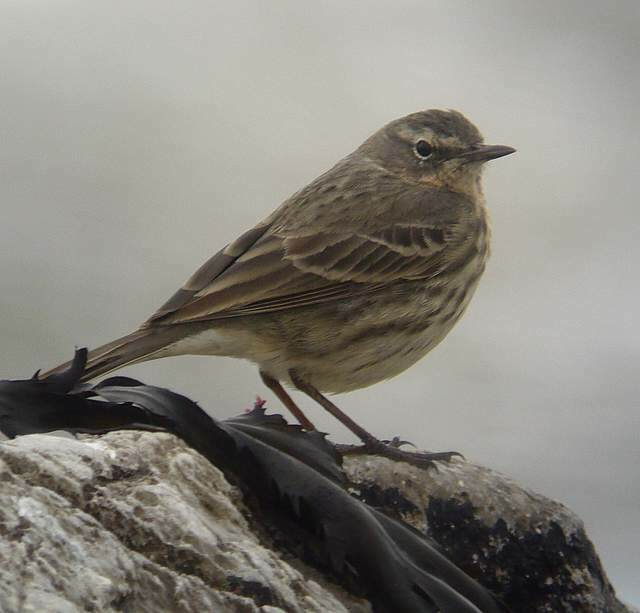 CLONEA STRAND: 2 Scandinavian Rock Pipits at Ballinclamper, in full or partial breeding plumage; also an adult dark-bellied Brent Goose. DUNGARVAN: Long-tailed Duck near Cunnigar tip. KNOCKMEALDOWN MOUNTAINS: 2 Red Grouse on upper slopes between Knockmealdown and Sugarloaf. 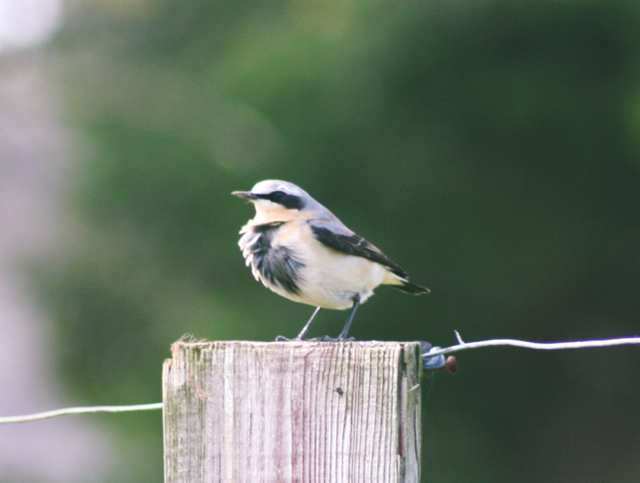 WATERFORD BIRD-RACE: A respectable total of 99 species was notched up in the county by a team of 5 observers today [or 103 species including species seen by <3 observers] - click here for full details. KNOCKADAV/BALLYSAGGART: 3 Woodcock, 4 Crossbills. LISMORE: 2 Dippers, 12 Shoveler & 3 Shelduck ( Blackwater Callows). BALLINVELLA: 1-2 Yellowhammers, 5 Sand Martins. NEWPORT: Buzzard, Merlin, female Hen Harrier, also 8 CATTLE EGRETS opposite side of river, close to usual haunt of Ballycrompane. LOWER BLACKWATER: Also single Otters at 3 locations (Villierstown, Templemichael and Old Youghal Bridge). 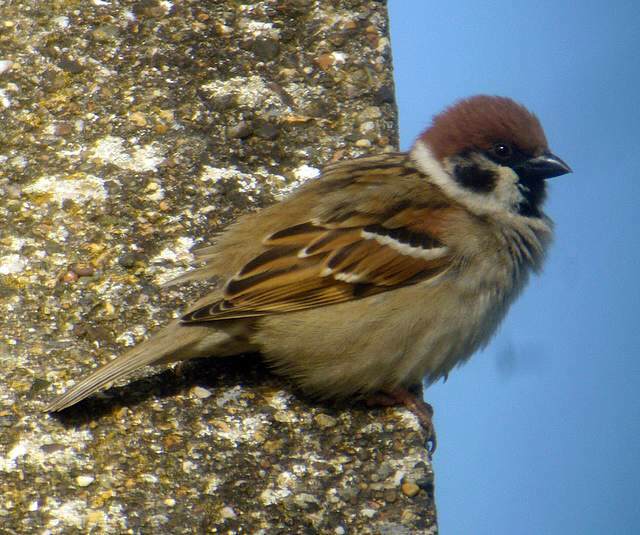 ARDMORE/WHITING BAY: 9 Tree Sparrows at Springfield / Ballysallagh . BRICKEY RIVER: Green Sandpiper not far from Two-mile Bridge. DUNGARVAN: Common Sandpiper at the Barnawee Bridge / Kilminnin. 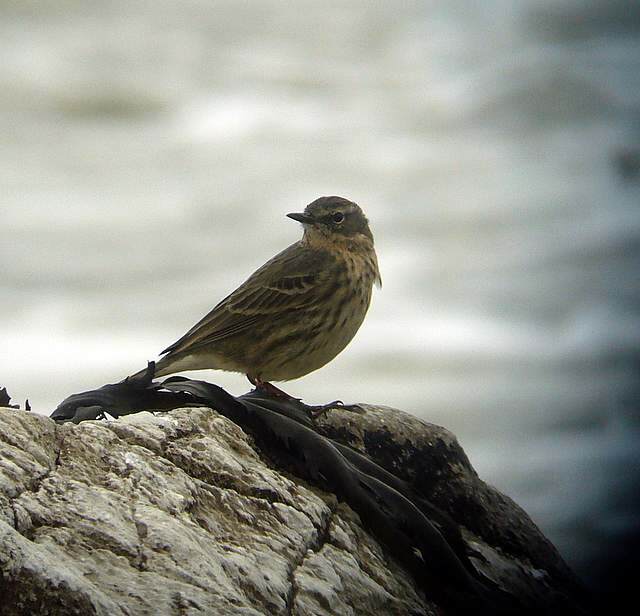 CLONEA STRAND: Scandinavian Rock Pipit, also Whimbrel, Purple Sandpiper & Black Guillemot, all at Ballinclamper. BUNMAHON: Sandwich Tern (1st of year) & Kingfisher. BALLYSHUNNOCK RESERVOIR: 14 Whooper Swan. BALLYMACART: 2 Sandwich Terns (1st of year). LISMORE: First Swallows of the year. 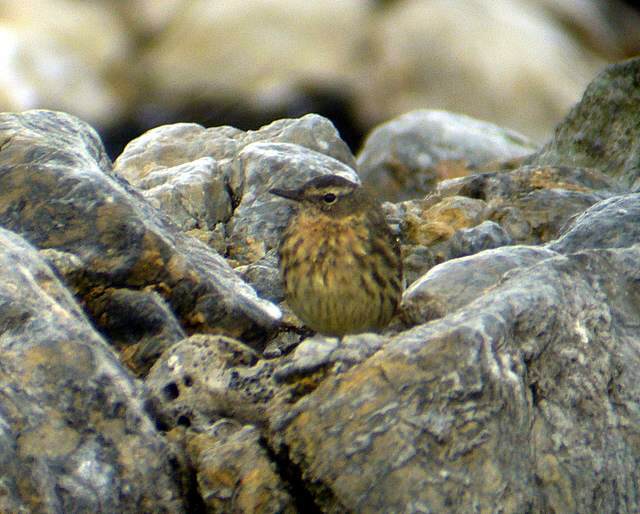 CLONEA STRAND: Scandinavian Rock Pipit in full or partial breeding plumage. BALLYVOONEY COVE: Leatherback Turtle swimming west. MAHON BRIDGE / ASHTOWN area: Chiffchaff heard. KILBARRY BOG: Water Rail near the Tramore Road walkway. VILLIERSTOWN QUAY (lower Blackwater): Green-winged Teal & 3 Otters. Nr CLASHMORE: 8 CATTLE EGRETS at Ballycrompane. FERRY POINT: 2 Wheatears (first of year) & an Iceland Gull. 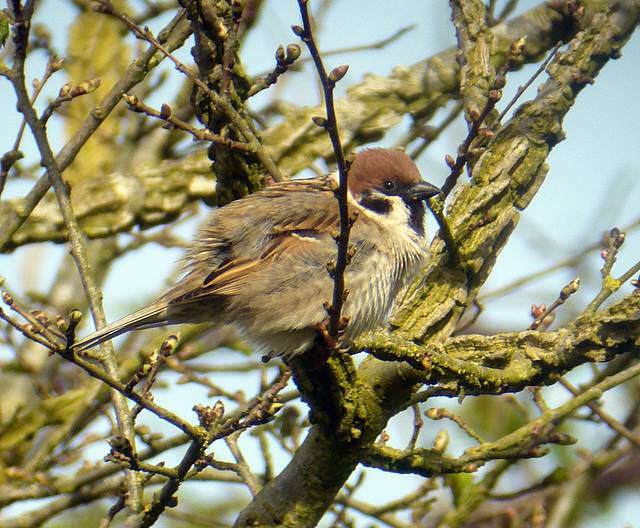 Nr WHITING BAY: 10+ Tree Sparrows at usual farm, Springfield / Ballysallagh area. DUNGARVAN: Dark-bellied Brent Goose at pitch & putt course, 2 Eider & 2 Black Guillemots at Ballynacourty. Nr CLASHMORE: 6 CATTLE EGRETS at Ballycrompane (same site where 8 seen in February). KNOCKLOFTY (Co Tipperary): Male Black Redstart, just outside the Co Waterford border & well inland. DUNGARVAN: Black Guillemot & 2 Sand Martins (first of year) at Ballynacourty, 2 Whimbrel at Knockanpower Lower, and a dead owl (probably Short-eared Owl) near the pitch & putt course. 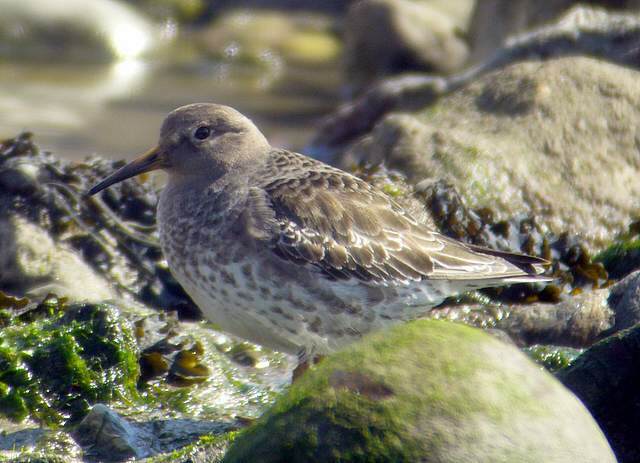 CLONEA STRAND: Whimbrel & 2 Sand Martins at Ballinclamper. 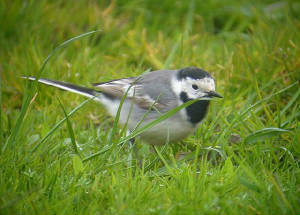 DUNGARVAN: Long-tailed Duck off pitch & putt course, Common Sandpiper at Barnawee. 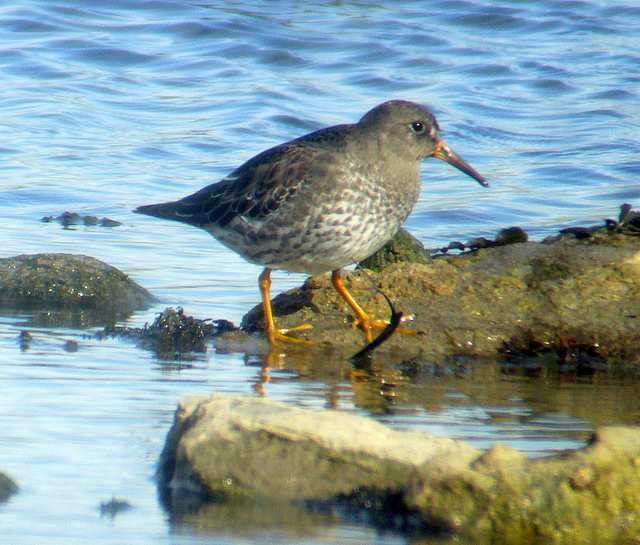 CLONE STRAND: 4 Purple Sandpipers at Barnawee. 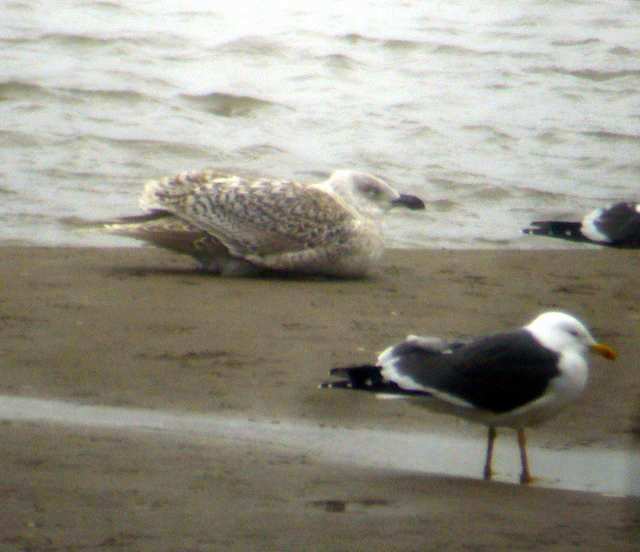 RINCREW (Tourig/Blackwater estuary): 3 1st-winter Iceland Gulls, including one on Co Waterford side, also a 1st-winter Glaucous x Great Black-backed Gull hybrid on Waterford side (first seen at Rincrew in February). HACKETSTOWN (nr Mine Head): Hen Harrier. MINE HEAD: Pomarine Skua flying west. 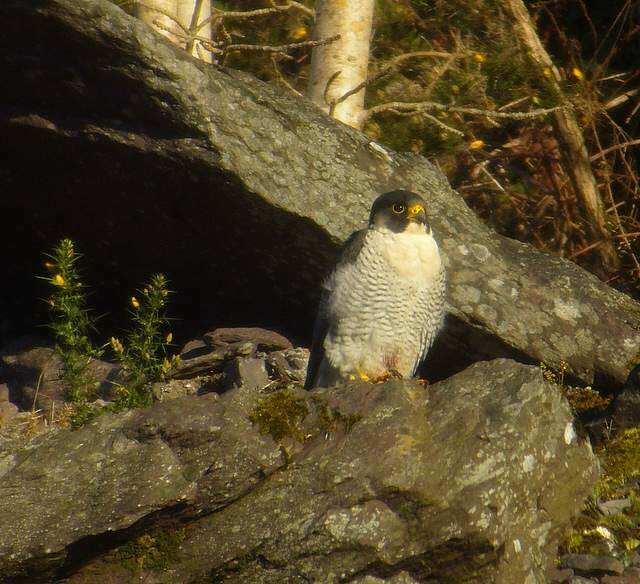 Nr WATERFORD CITY: 2 Buzzards, on two dates up to 7 March, just south of Waterford city. DUNGARVAN: BLACK-NECKED GREBE, BLACK BRANT, dark-bellied Brent Goose & Common Seal near pitch & putt course, another dark-bellied Brent at Ballyneety. HELVICK HEAD: 1st-winter Iceland Gull.